Human reasoning can be characterized by a continuum anchored by two extremes: fast, automatic, and emotional processing on the one side; versus slow, controlled and rational processing on the other. 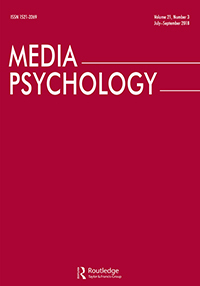 Despite theoretical linkages, no studies have empirically connected these types of information processing with the mechanisms of multimodal (visual and textual) media effects. We employ tools from dual processing theories in a framing effects paradigm to test whether the effects of news visuals and text take place via relatively more automatic and controlled information processing, respectively. To do so, we combine experimental manipulations and individual differences data collected across two experiments using different political issues. Results from experimental manipulations provide converging evidence for the distinct processing of visuals and text. Individual differences data paint a more nuanced picture, suggesting that the processing of multimodal news frames does not always conform to a simple automatic-controlled dichotomy.